Today was our last day in Amsterdam and thus sadly, the last day of our trip. We grabbed a breakfast consisting of muffins at a pastry shop around corner from hotel. Then we hopped on the tram to the Museumplein to visit the Rijksmuseum. The museum was very well laid out with good transition through the history. They also did a good job of explaining Dutch influence on art in each age. The highlight of the museum was Rembrandt’s “Night Watch”. We spent the entire morning here going through the entire museum. We then grabbed some toasties at a bar for lunch. Our next stop was the Rembrandt House. It was small, but had good information about his life, studio, and students. There was an included audio tour that was pretty good. The house is also under construction so some parts were not accessible. No one scanned our I Amsterdam cards on our first river cruise, so we decided to do a different one this afternoon. We went on the Blue Line cruise this time and the commentary was much better. I would definitely recommend Blue Line cruises over Circle Line cruises for a canal tour in Amsterdam. The tour took a slightly different route as well. Afterwards, we headed back to the hotel for wine hour. Before dinner, we had reservations to visit the Anne Frank House. You have to book tickets in advance and time slots fill up so do it early. This was a very moving and poignant exhibit of life in the “Secret Annex” during the Second World War. Having read the diary a while back it really brought the story to life and made it more real. It serves as an important reminder of what has been done and how it can never be repeated. 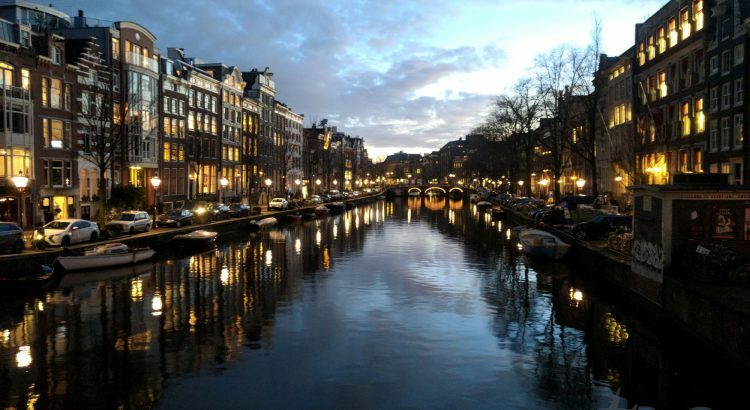 This is definitely a must-do experience on a visit to Amsterdam. Dinner this evening was at Cafe De Riegel in the Jordaan district of Amsterdam. This is a small, local gastropub with a friendly resident cat. I had the haddock with couscous special and Samantha had the short ribs with fries. Both were excellent. We then headed back to the hotel to pack up and get ready to go home.